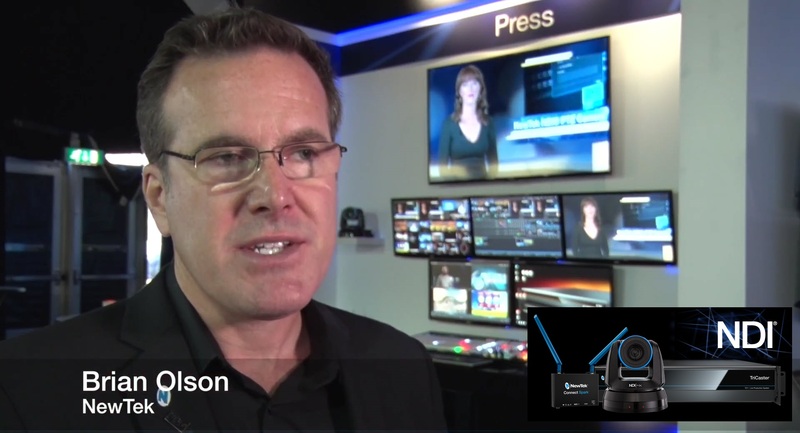 NewTek is honored that two of our newest products have been recognized with Best of Show Awards at IBC 2017. 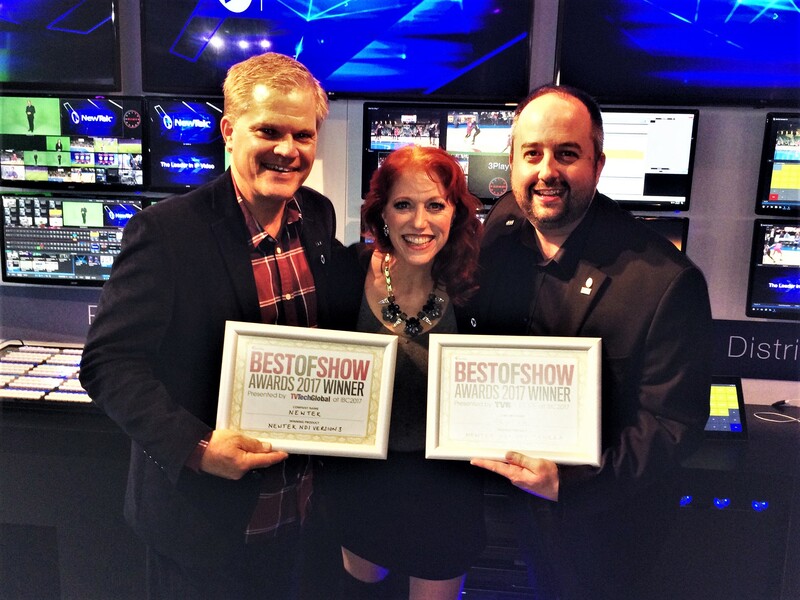 Rex Olson, Kiki Stockhammer and Will Waters happily display the NewBay Media Best of Show Awards for NDI® version 3 and NewTek NDI® PTZ Camera. 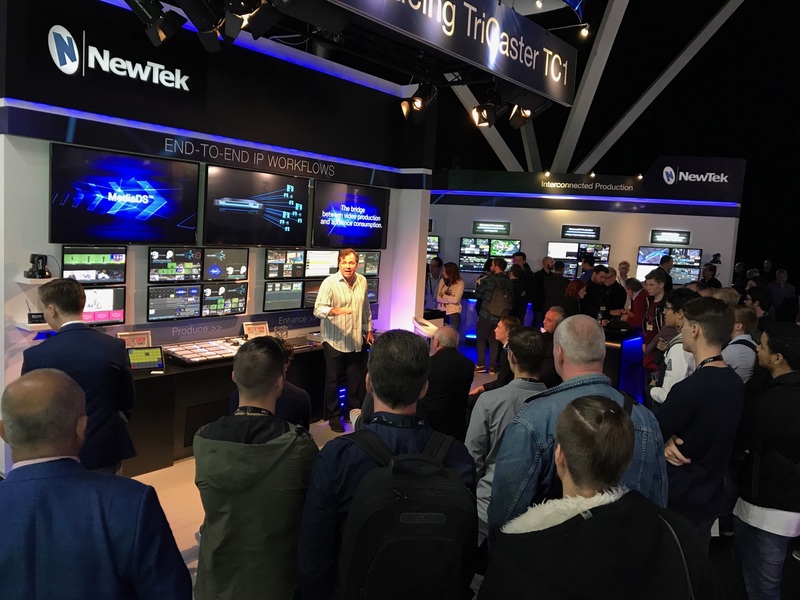 These and NewTek’s other award-winning products in the first ever end-to-end IP workflow video production pipeline can be seen at Stand 7.K11 through tomorrow at IBC 2017. 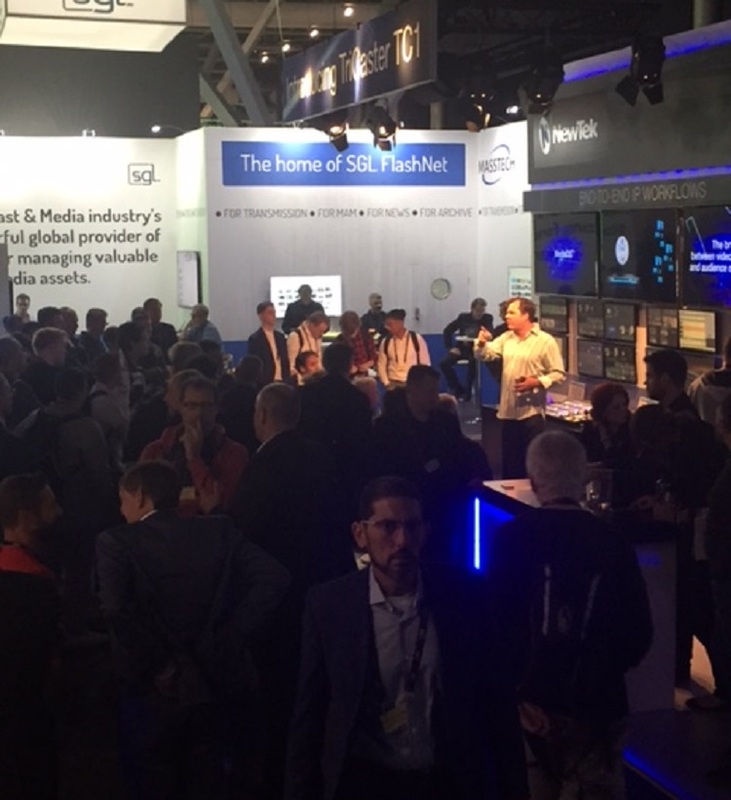 Main Presentation at IBC 2017 gathers a crowd. 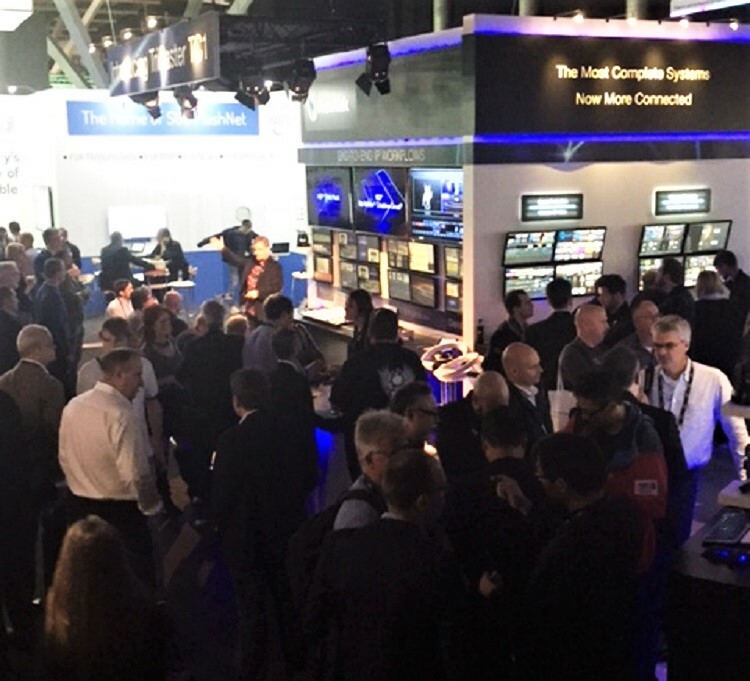 Day 4 is often less crowded -but not this year at the NewTek stand.